One of the best parts of my career (notice I used the word career because I LOVE what I do, and have built a life from it), is that I get to travel the world and meet so many amazingly talented people. About 5-6 years ago I met Magic McDreamy. For those of you that watch Greys Anatomy you understand the term McDreamy. Michael Dardant aka â€œMagic McDreamyÂ Mikeâ€ graced the FABAIC and was unafraid to be a body painting model.Â I vividly remember someone painting him in doctor scrubs. From that moment I could never forget such a guy. I am a self proclaimed super shy person, and I would describe Mike as the antithesis of me. He loves to entertain, he loves to draw in the crowds and he is one of the best magicians I have ever met. I just received an article on Mike and I wanted to share some of the pics and shine a spotlight on him because he can be an inspiration for us all. Michael Dardant started off as a Magician, and because of his drive and determination he took his passion for mesmerizing people to a new level. 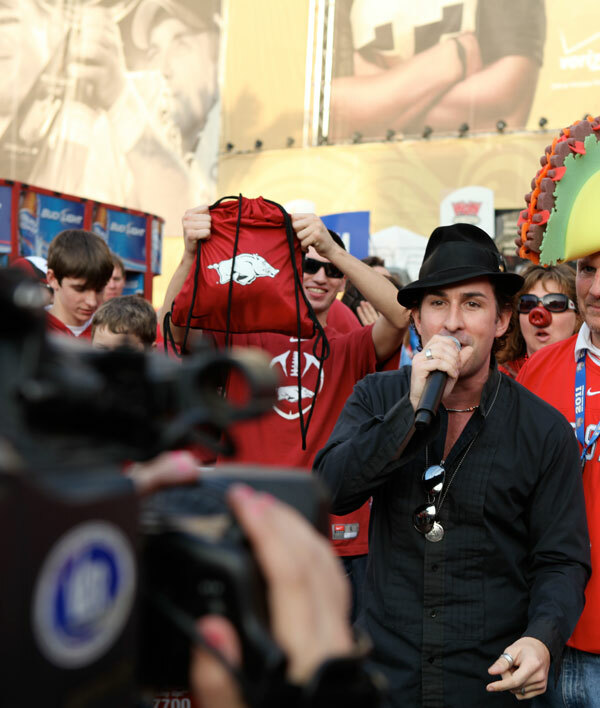 Michael just finished hosting the Sugar Bowl BCS Pre game rally in addition to touring the world with his cabaret show. Thinking outside of the box and his willingness to try new things, has paid off generously. MikeÂ continues to grow as an artist and he refuses to let the economy slow him down. Mike resides in New Orleans, LA, which was devastated after Hurricane Katrina. 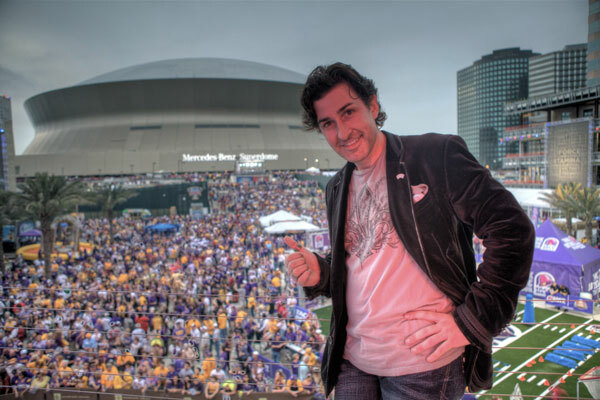 Michael used his Cajun charm to tap into other areas of the market and explore more than magic. Michael also stars in the pilot series, Below Sea Level, a comedy about New Orleans five months after Hurricane Katrina. Let McDreamy serve as an inspiration to you. Try something new, add a new service to your resume, network, and set your sights HIGH. You never know where this magical world of art might take you. Take a look at Michael’s website.